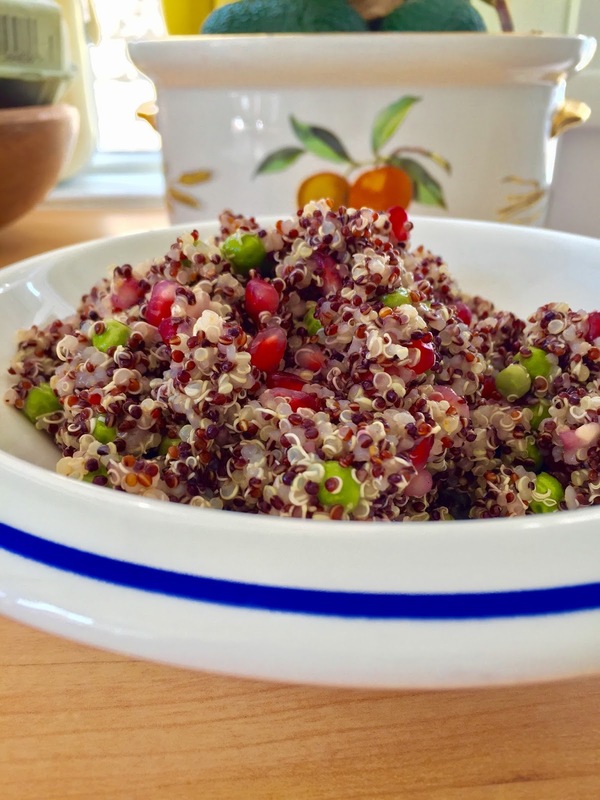 This summer inspired quinoa dish is a lunchtime favourite of mine at the moment - it goes with pretty much everything. So far either avocado, feta, smoked salmon or a basa fillet are my favourite pairing. It feels 'light' and tastes nice and fresh so it doesn't leave you feeling lethargic, but is also filling too. 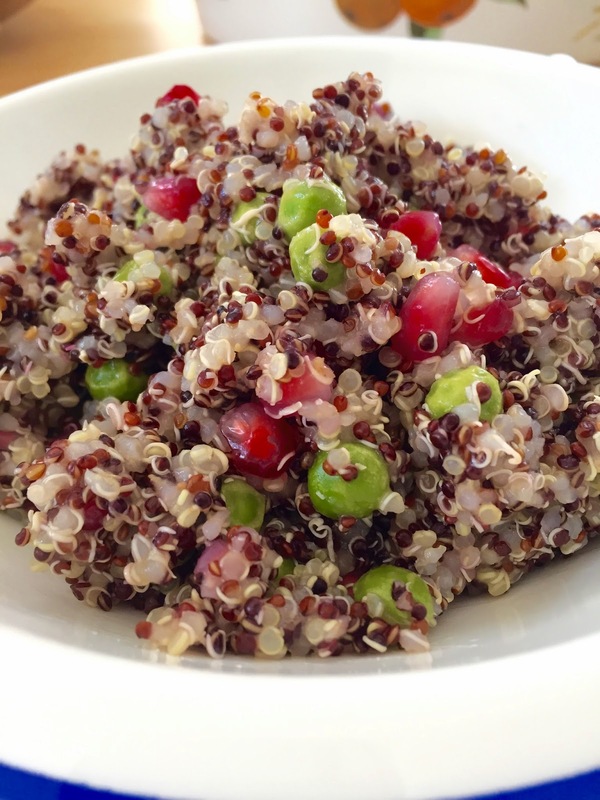 Cook your quinoa as you would rice for about 12-15 mins. Squeeze half the juice of your lemon into the water into the pan for flavour. After the 15 minutes is up, add in your peas and continue to cook for a few minutes. 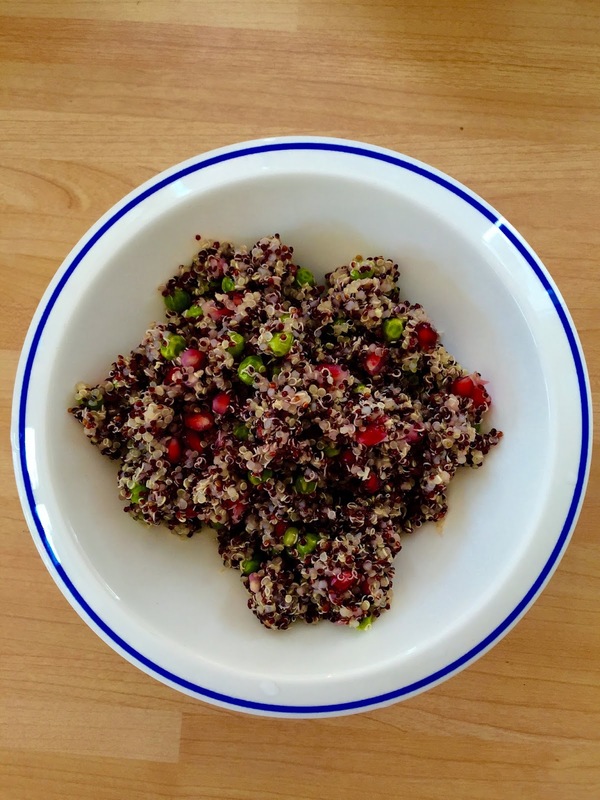 Then chop your pomegranate in half or quarters, pick out all the seeds and add to the pan of cooked quinoa. This is where it gets a tad messy, don't where white here kids - picking out pomegranate seeds is messy as, the juice gets everrrywhere. Mix it all round and either serve immediately (drizzling the last half of your lemon juice on top) or transfer into tupperware and store it in the fridge.